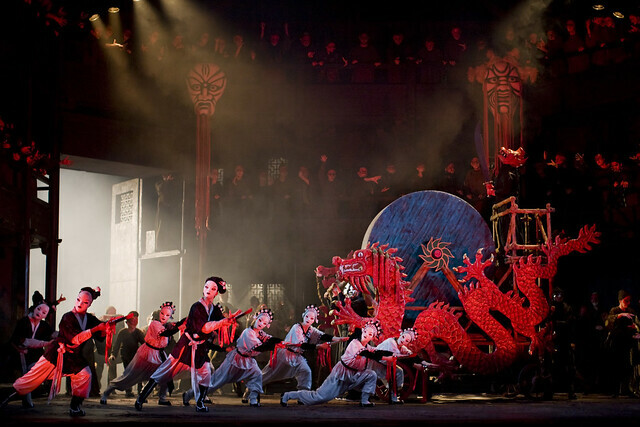 The Royal Opera’s spectacular production of Puccini’s Turandot was presented in 1984 as part of the Cultural Olympics in Los Angeles. It is now a signature production of The Royal Opera: performed almost a hundred times at the Royal Opera House as well as around the world. For this new revival, writer, lecturer and broadcaster Sarah Lenton has been finding out about the immense amount of work behind the scenes to bring it to the stage. 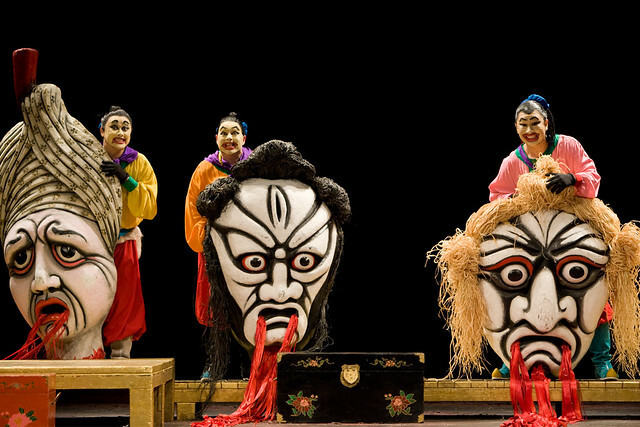 It’s July 2013, and the Royal Opera Chorus are already being fitted for their Turandot costumes before the summer break. 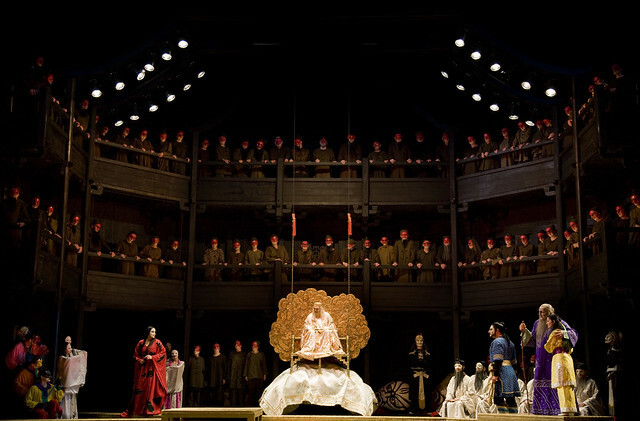 Colin Maxwell (the Production Manager) has been down to the scenery store in Wales to check out the Emperor’s throne, and Kate Flatt (the Turandot choreographer) is wondering whether anyone’s told the singer playing Turandot that she’s going to be carried in on a litter. ‘That’s how Gwyneth Jones [in Los Angeles] did it, and it looks incredible – a great icon being carried in. Incredible and imposing.’ Which rather sums up the Royal Opera House production of the opera itself. This extract is taken from Sarah Lenton's article ‘Fresh as Paint’. 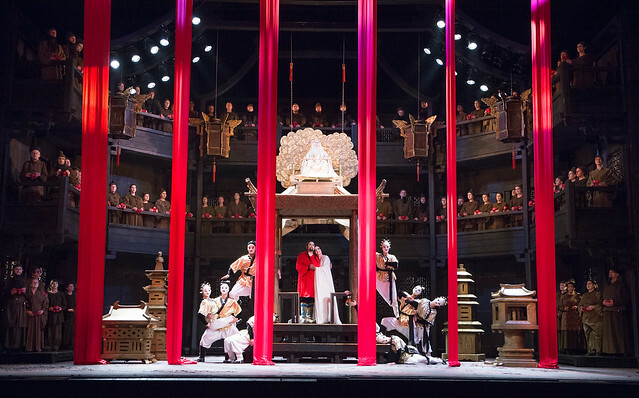 The full article can be found in the Turandot programme book, available in the theatre at performance times and from the ROH Shop. Saw this last night. What a fantastic performance. great performance... and plan to release it in DVD? Glad you enjoyed the performance. We hope to release the DVD next Spring. We will publish details of forthcoming DVD releases on our News & Features section when confirmed so you won't miss out!